So here we are, almost a month into the new year, and I have jumped in with both feet! I have been doing lots and lots of research. Research on book writing, children’s books, illustrators, publishing and so much more! My brain is about to explode!! And to be honest, I am even more scared than I thought I was! But I have the support of my wonderful husband and amazing parents, so I know this can be done! I know I can overcome these fears and succeed with this new endeavor!! But now to the exciting news!! I have found an illustrator!!!!!! I am so stinking excited! 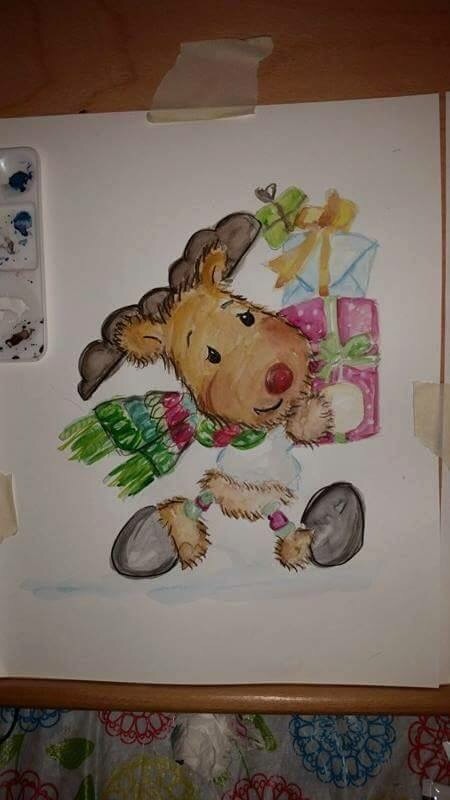 Well she is a friend of mine, who recently got back into drawing! And she is amazing!!!! I approached her with the idea of the book and she was even more excited than me!! Ha ha! She has been working on some sketches for the two main characters, and I cannot wait to share them with you!!! Are you ready!?! So this is Calvin, isn’t he absolutely adorable!?!?! .I have decided to have all characters in the book to be animals, that represent the human characters. 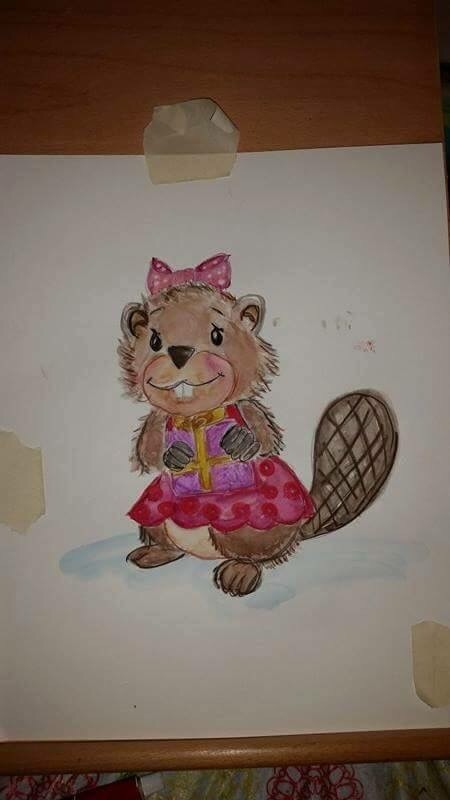 So with a last name of Beavers, of course Addie’s character needed to be a Beaver! Isn’t she so cute!?! I am so excited to start this journey with my amazing illustrator. We are working out contract details, but I know you will not be disappointed with the outcome! !